During a press conference that was supposed to discuss the opening of a new airport in Dhi Qar, Iraq's transport minister, Kazem Finjan, surprised reporters when he diverted from the talking points memo to claim that the ancient middle-eastern nation's location was once home to space stations built by extraterrestrials. "The particularity of this place is that it remains the safest for the landing and takeoff of aircraft, due to favorable weather conditions. When the Sumerians settled on this land, they were aware of this and have chosen specifically for their flights to other planets"
Journalists were quick to dismiss Finjan's claims. "Iraqi transport minister's hallucinations about spaceships in Nasiriyah proves that the [Haidar] Al-Abadi government is full of fools, hashish addicts and the most worthless of humanity." a researcher at the Centre for Academic Shi'a Studies. 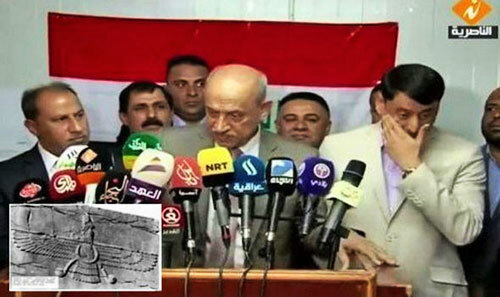 "Can you believe that this imbecile is the current Iraqi transportation minister? I thank Allah for the blessing of a brain." "Awkward moment and I don't think anyone was brave enough to contradict him." Although the reactions were intense, there are several things to consider before dismissing Finjin's beliefs. And some now believe that Sitchin was a cointelpro 'disinformation' agent for certain hidden forces that wanted to promote an agenda that might have had an air of truth to it. 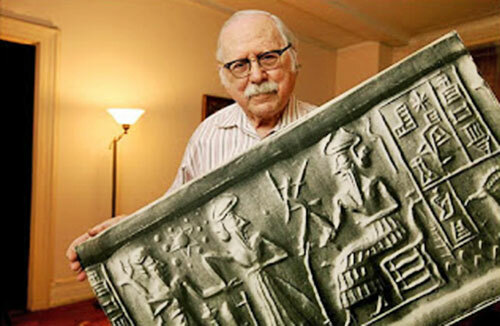 One of Sitchin's claims is regarding ancient sites in the Middle East in Egypt and the Palestine-Israel area, which he says were once home to space stations used by the Annunaki for thousands of years. Is the impromptu statement by the Iraqi transportation minister nothing more than an enthusiastic Ancient Aliens fan's rantings, who wanted to spread a sensational rumor? Mainstream archeology has yet to offer an explanation of how the Sumerian culture seemed to spring forth out of obscurity, fully formed and complete with writing, financial systems, law, building techniques and many other features of advanced civilization. The fields of ufology and forbidden archeology are replete with claims and examples of advanced beings assisting people in ancient times. Accepted archeology suggests that humankind were nothing more than primitive hunter-gatherers for the vast majority of its over 240,000-year existence. But some intrepid researchers, like Graham Hancock, claim that before the diluvian period of approximately 11,000 years ago, there were many very advanced societies, which possessed knowledge modern humans are only now beginning to rediscover. The pyramids of Egypt - despite allegedly being built by craftsman using copper-age tools - cannot be reproduced with all the splendor of modern technology. If Sitchin's debunkers are to be believed, then it suggests that someone in the know supplied him with information some 20 years before discoveries of antediluvian sites were unearthed. Perhaps those who hidden forces that possess knowledge of humanity's true origins are trying to sow seeds of truth through agents like Sitchin in an effort to one day unveil a more authentic narrative of history. As a final note, several insiders and whistleblowers claim that the human race is much older than what academics have suggested. They say that there have been many floods or cataclysms and conflagrations that have ravaged the surface of the Earth. 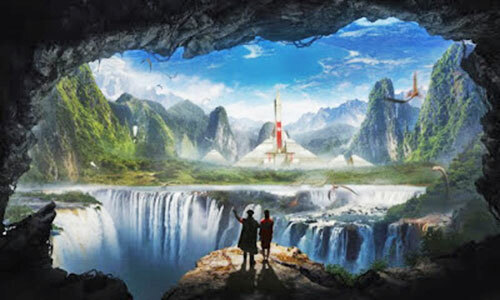 In one such example, a group of humans closely related to people living on the surface, claims to have built a long-lasting civilization in deep caverns below the earth's crust. 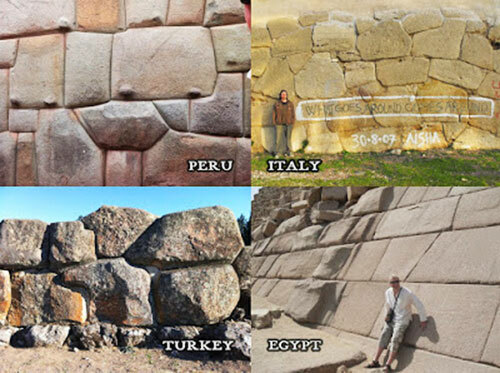 One whistleblower claims to have met these beings, which he calls the Anshar that claim to have watched over humanity for over 12 to 18 million years - an unbelievable assertion for many. While these theories remain unsubstantiated, the fact that geneticists have proven the human race's current lineage can be traced back at least 240,000 years suggest that indeed modern man could have seen the rise of many different advanced civilizations. For now, the Iraqi minister's claims are viewed by many as wildly unsupportable.